New parents take note, there are few items more useful in the nursery than a good rocking chair. It will soothe baby (and yourself) on restless nights and provides a comfortable space for feeding or storytime. 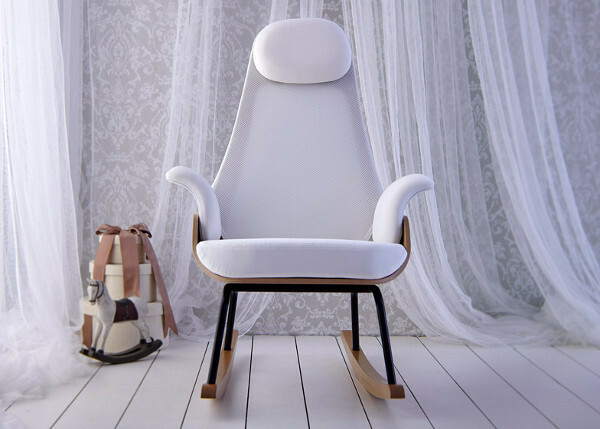 This sensational designer chair by Alegre Design is perfect for the modern nursery. With a Scandinavian aesthetic of white and wood, the very look of this chair is divine. It is made of a breathable fabric, oak wood, and tubular steel legs to give it strength that can be useful when the kids pile on for story time. Spanish company Alegre Design have named their chair ‘Nana’ but there is nothing old fashioned here. 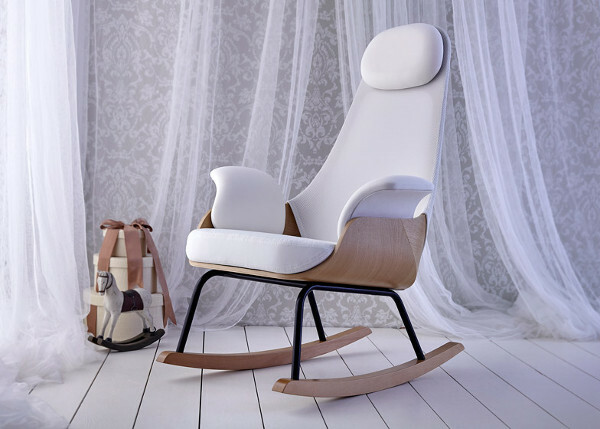 This stunning seat has an opening in the back that allows the fabric to adapt to the sitter, so both baby and parent get the sensation of being cradled and supported. Combine that with the gentle rocking motion and outward-curving armrests for breastfeeding support and you have a model of modern comfort. The Nana chair by Alegre Design is priced at €935 through Minimoi. Sadly, this incredible chair does not yet ship to Australia but we are keeping our ears to the ground for Australian stockists.